This article discusses the permissions necessary for staff accounts to access Edit Order, where to find these permission, and how to set them up. All Edit Order plans come with unlimited access for every staff account that you have in your Shopify store. 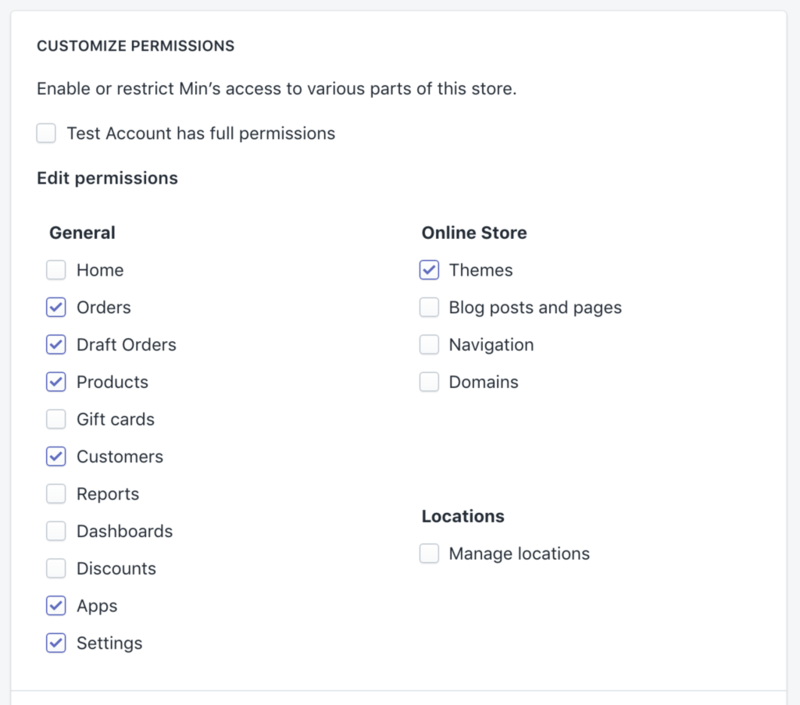 All staff accounts should be able to have access to Edit Order but do need to have a minimum set of permissions assigned to them in the Shopify Admin. By default, the staff member is set to have full permissions and access to the admin when you create a new account. In the Accounts and Permissions section, click a staff member's name to open the account details.